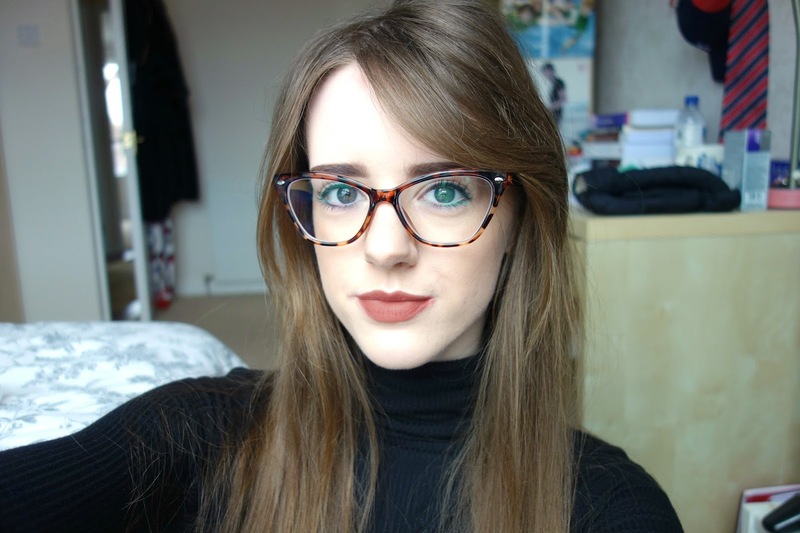 I've worn glasses full time for just over 3 years and I've always stuck to the same shape and colour of frames... standard black and slightly curved. When glassesshop.com reached out to me, offering eyeglasses in return for a review, I used the opportunity to branch out with my style choice and I'm really impressed with the frames that I received. An opportunity received on a year abroad is the option to have a 'buddy' during your stay in a foreign country. A buddy is there for an international student during the initial period of their stay in order to make sure the settling in process is as stress-free as possible and to act as a helping hand along the way. I decided against having a buddy during my Erasmus year in Belgium, but I had a lot of friends there who had buddies and some turned out to be their life-long friends. After missing the international side of my studies returning home, I decided to participate in the Edinburgh University buddies programme, where two 'Edinburgh Buddies' are assigned to a group of 6 'International Buddies'. Last semester, my buddies were from a various backgrounds, from European countries such as Belgium and Austria, to International students from New Zealand and the US. This semester, I don't have any European students, but my buddy group consists of mostly Americans and students from Hong Kong and New Zealand. I love how international the Edinburgh University community is and I'm really glad I decided to partake in the programme and re-live the experiences I had in Belgium at home. I met my buddy group in person at the 'Buddies Meet and Greet' a couple of weeks ago in Teviot, our main student Union building. 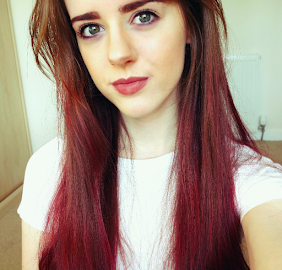 There, we had a wine reception and went to Nandos (of course) afterwards for some food. 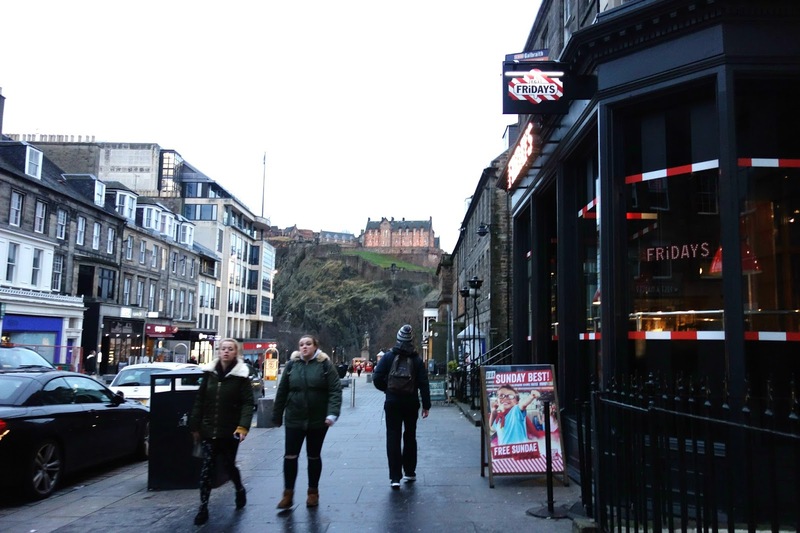 For our first outing, my other Edinburgh buddy and I decided to take our group to 'Dean Village', starting from Teviot and passing most of Edinburgh's main tourist attractions on the way there. 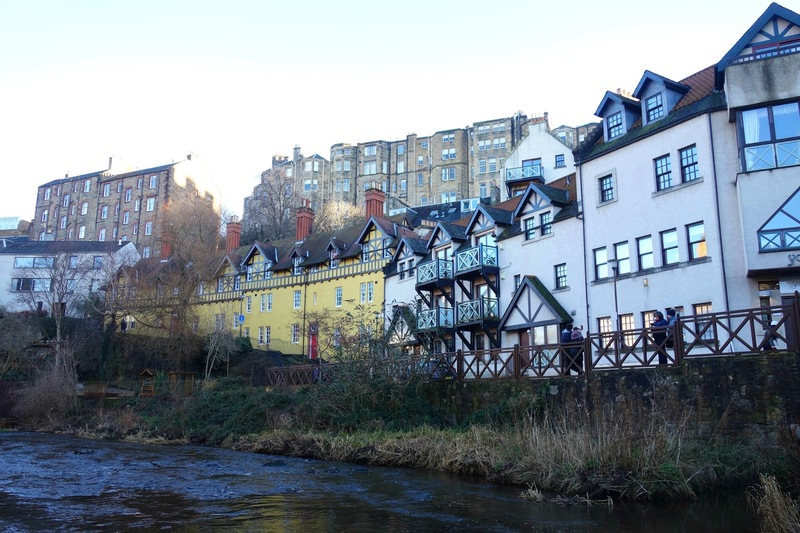 Dean Village is situated a short 5 minute walk from the West End of Princes Street in Edinburgh. 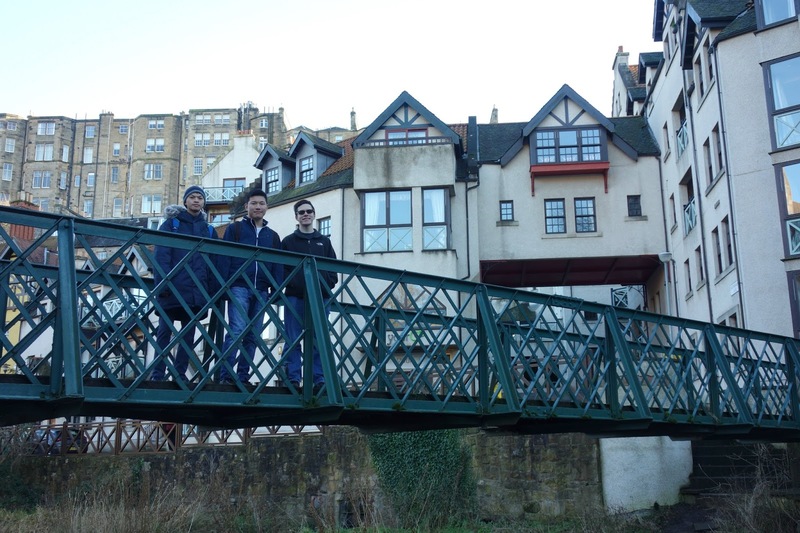 After living in Edinburgh for my whole life, Dean Village isn't a part I've managed to venture into, so I thought it was the perfect day trip for the International buddies and I. We departed from Teviot and walked by Elephant House (the cafe where JK Rowling wrote some of the Harry Potter series) and the Bank of Scotland Headquarters. 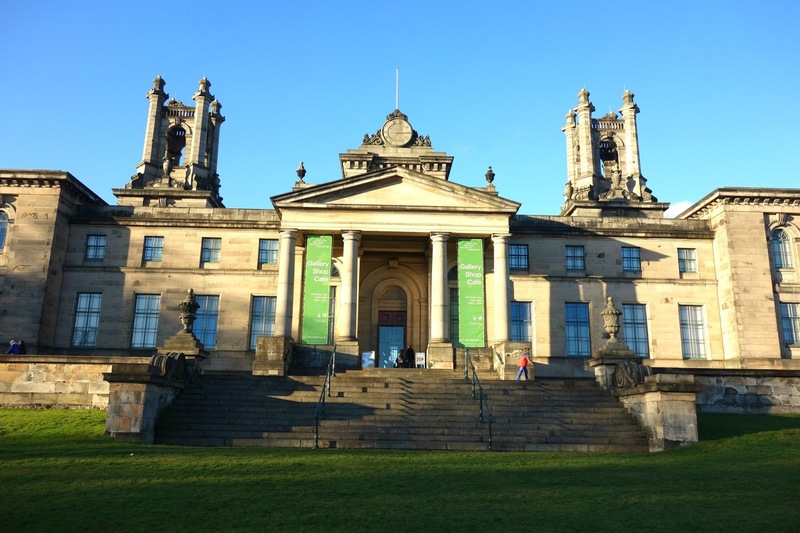 Next to the Bank of Scotland Headquarters is the Museum on the Mound, where a display of £1 million can be found. The museum is admission free, so we just wandered around quickly to take a few photos of the £1 million and we left shortly after. 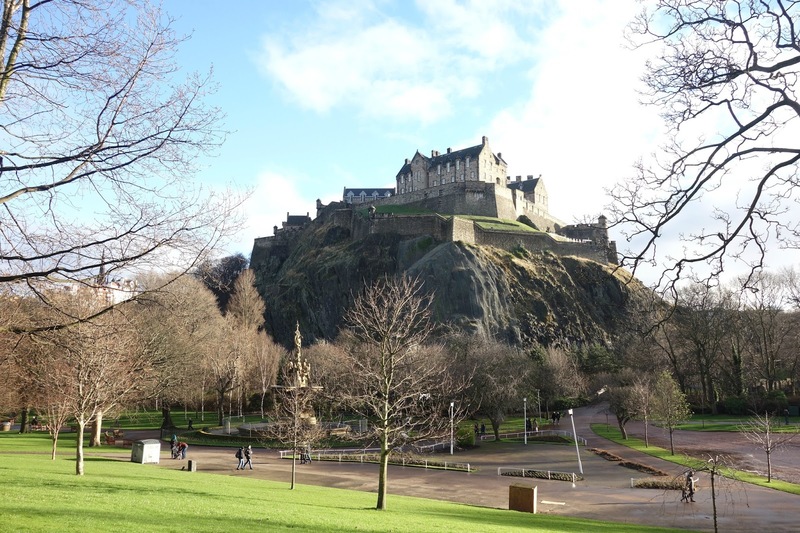 As we reached the bottom of the Mound, we walked through Princes Street gardens and stopped to take photos of Edinburgh Castle. Dean Village was a short walk from the end of Princes Street gardens and we took the path just before Dean bridge towards the village itself. I've seen my friend's photos of the village on Instagram and the colours of the buildings are as stunning in real life as they are in photos. The village is really small, but it seems surreal such a place exists just a short walk away from the hustle and bustle of Edinburgh's city centre. 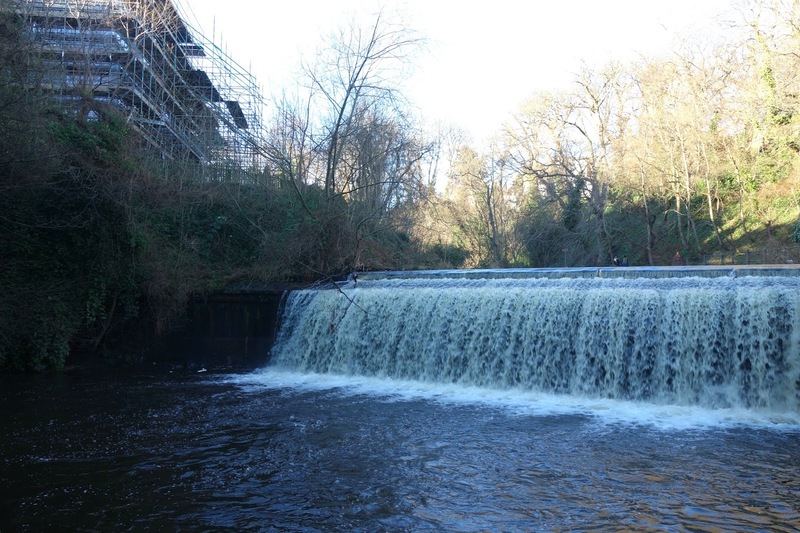 The area is very peaceful, despite being full of tourists, and with the Water of Leith running through it, is a very pleasant day trip for a lazy Sunday. 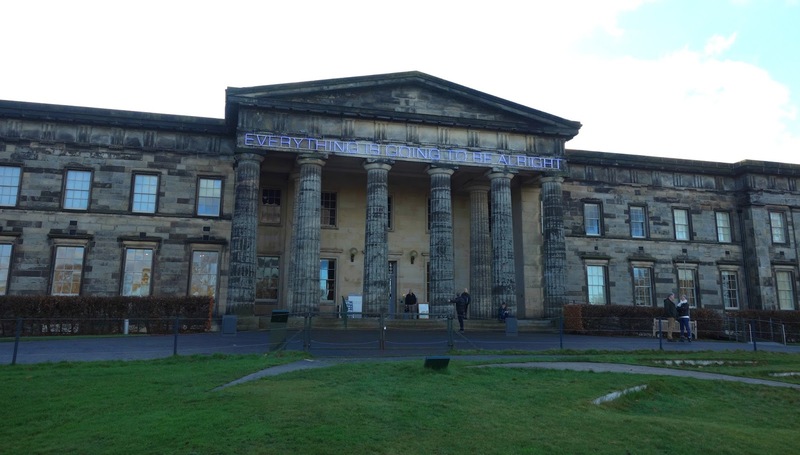 After walking around the village and part of the Water of Leith, we went to the Scottish National Galleries of Modern Art. 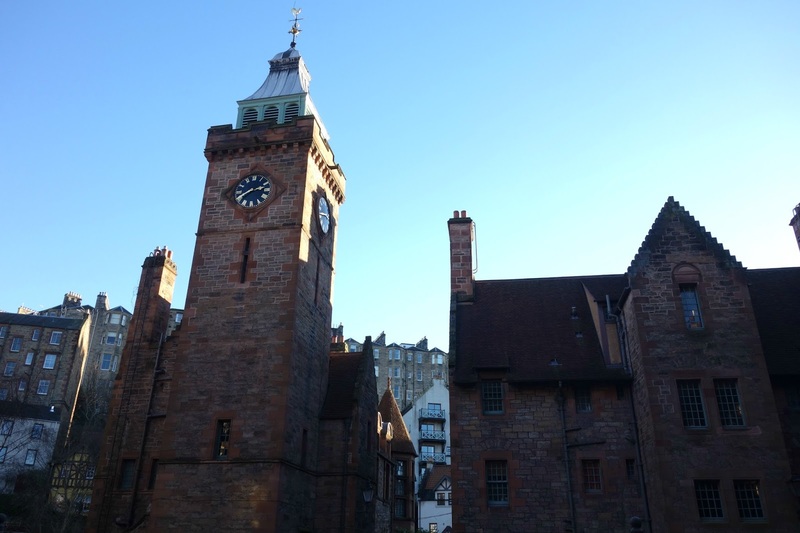 There are two modern art galleries in the area around Dean Village. The admission free exhibition in the Modern Two (pictured above) was quite minimal and I didn't enjoy it as much as the Modern One. The upstairs of the building consists of a ticketed exhibition. 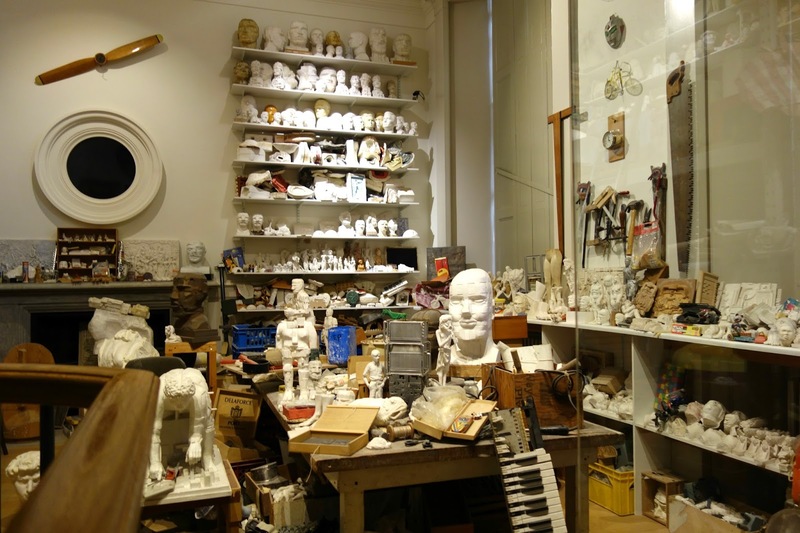 The highlight of Modern Two, for me, was the recreation of Eduardo Paolozzi's London art studio on the ground floor. The Modern Two gallery was a short walk from the first gallery. I had a weird sense of déjà vu as I entered the grounds remembering we went to the galleries frequently for art lessons during my final years of primary school. The grounds consist of various sculptures such as the one pictured above. At the entrance, there is a submerged sculpture of a head and shoulders. 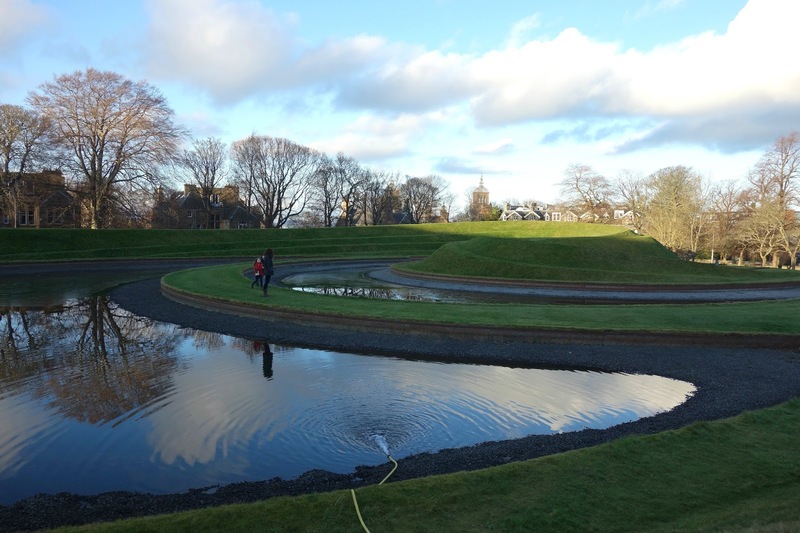 Directly opposite the Modern One is the Landform, a creation by architectural historian Charles Jencks, composed of a swirling grass structure around three ponds. 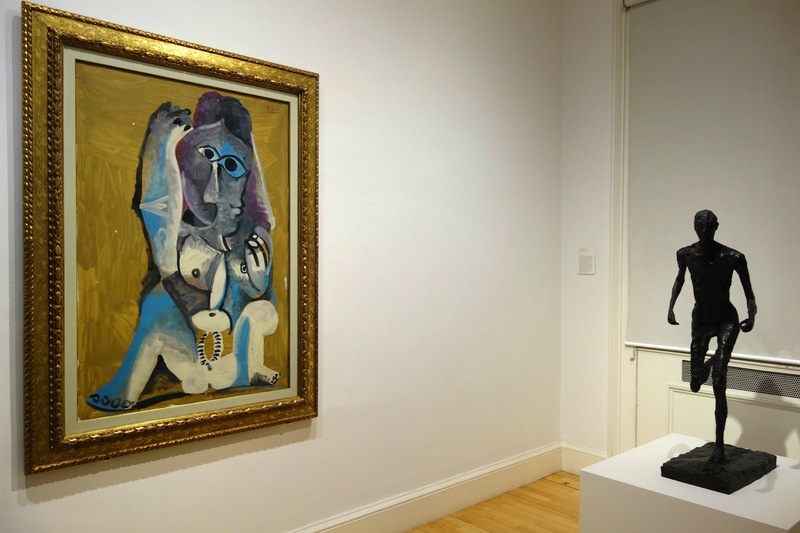 The exhibition in Modern One is more extensive than that of Modern Two. Although some pieces were quite unusual, it was definitely an interesting change to historical art pieces I'm used to seeing during city visits. 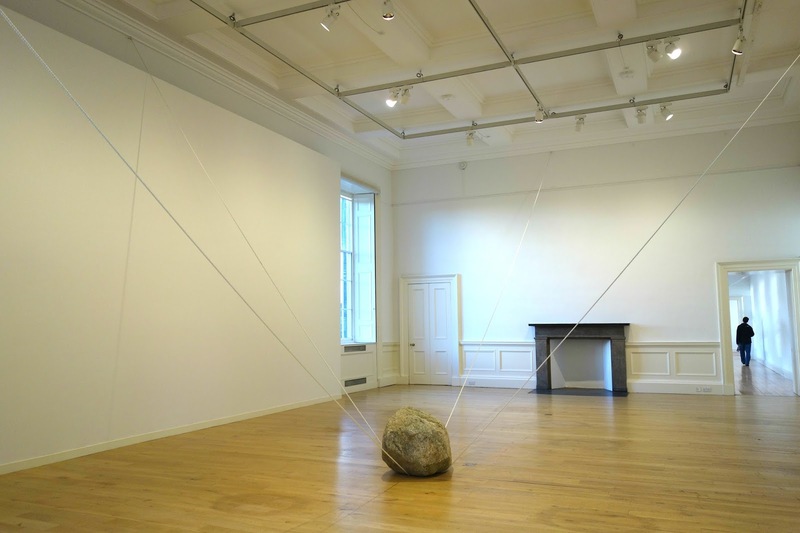 Some of the initial exhibition rooms we went into contained random 'works of art' such as the rock in the middle of the room (pictured above). In the adjacent room was a room filled with cotton wool. Quite bizarre to say the least. I enjoyed the pieces in the first and second floors of the gallery. Beside the staircase was the work of Douglas Gordon, with a List of Names of people he remembered meeting throughout his life. After initially starting with 1440 names in 1990, the collection grew to 4710 in 2014. Although the idea is really simple, this is work I was more intrigued by. 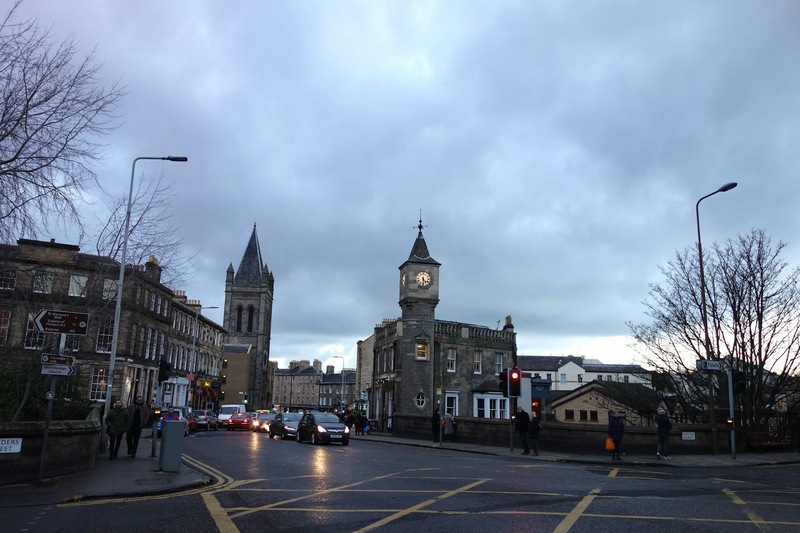 After our trip to the galleries, we walked along the Water of Leith, which lead us to the Stockbridge market. The market is full of food stalls and independent traders selling articles of clothing such as customised shoes to jewellery. I tried some peanut butter marshmallow (which was heavenly) and the guys bought some haggis and dumplings at one of the food trucks. With some more fuel after visiting the market, we walked back to Princes street where I departed ways with my buddies to head home to the West of Edinburgh whilst they walked back home towards the University campus. I really enjoyed my day with the buddies and I'm looking forward to the next trip we plan together.. 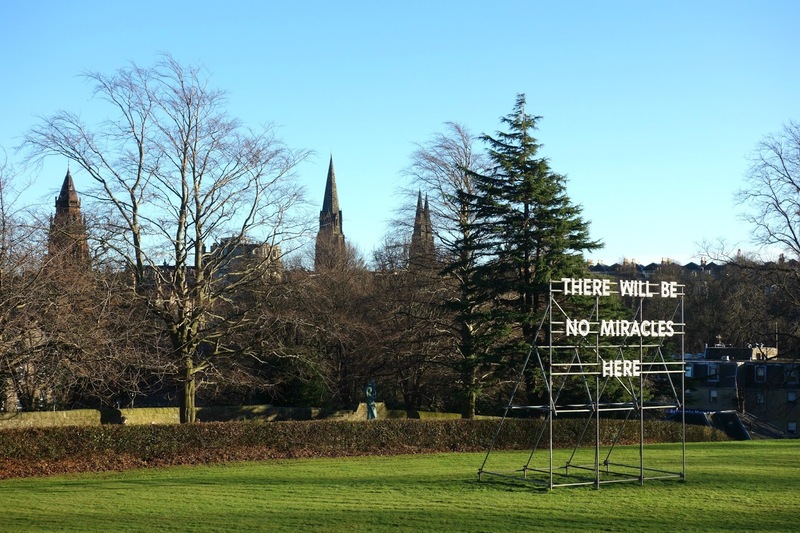 If you live in Edinburgh, where are your favourite locations to visit?